Accountability. What an important word. Over the years, it has become more and more important for various reasons. It was not a word I really focused on until I was an adult – and the word really made an impression on me with respect to work. When you are a kid – you always want to blame everyone else for anything that goes wrong. Mom gets a big brunt of these…but seriously, it is always someone else’s fault. At times, that can be accurate – but it most cases, everyone has some aspect of accountability in the situation. We are dealing with a tricky issue right now with my younger daughter. There is a boy in her class that has been bothering her for quite some time. At first it seemed innocent enough, and that maybe he had a crush on her – but unfortunately it has gotten a little more serious, and he has started to get physical. There is always a part of me that wonders if she is egging him on – but at some point you cross the line. Even some slight antagonism does not deserve physical violence or disparaging language. Fortunately we are on a good path forward though with the teacher’s support. Some adults though never really learn to hold themselves accountable – and it can be extremely damaging. Sometimes all it takes is just a little humility – to let the other person see that you are not perfect. Sometimes though you wait too long to hold yourself accountable, and by the time it hits you, it is too late. The damage is done, and there is no going back. When I started this blog, one of my hesitations was around accountability. 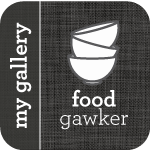 If I was going to post recipes, tell you how great they turned out – then you try them and they are bust – that wouldn’t make me feel very good. Now I know like everyone else – cooking is as much of an art as it is a science. Ingredients have a lot to do with how the recipes come out – and ingredients can be different depending on where you live, how fresh they are, etc… Just last week I got a comment on my banana bread recipe – the person’s banana bread didn’t rise, and she didn’t understand why. I suspected it had to do with the baking soda/powder she used – and maybe one of them had gone bad. She tried it again with fresh baking soda/powder, and fortunately – it came out perfectly. One of the reasons why I post so many recipes from Cooking Light and Bon Appetit – is they have a team of testers that make these recipes before they are published. Then I make it myself – and if it turns out good – usually I put it on the blog. I hold myself accountable to posting good quality recipes – and if you can follow directions, you will come out with good results – but that doesn’t always happen – and when it doesn’t – I am truly sorry. I know people were eyeing the biscuits that I posted last week with the Broccoli-Cheese Soup – so here they are. 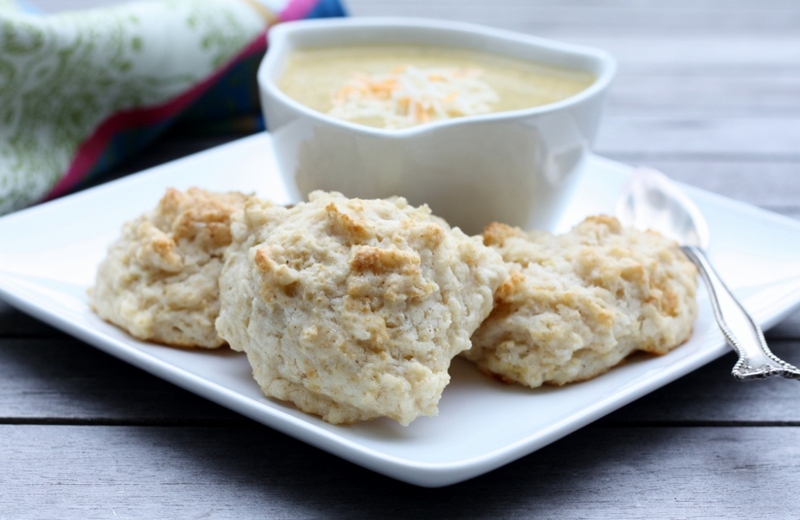 I make a lot of biscuits, but this recipe from Cooking Light is really a keeper. I loved how quick and easy these were – and that they were seriously light as a feather. They were by far some of the best biscuits I have ever made – and you can hold me accountable if you don’t agree. Weigh or lightly spoon flours into dry measuring cups; level with a knife. Combine flours, baking powder, sugar, salt, and baking soda in a large bowl, stirring with a whisk to combine. Place butter in a microwave-safe bowl. Microwave at HIGH for 1 minute or until completely melted. Add cold buttermilk, stirring until butter forms small clumps. Add oil, stirring to combine. Drop batter in mounds of 2 heaping tablespoonfuls onto a baking sheet lined with parchment paper. Bake at 450° for 11 minutes or until golden. Cool 3 minutes; serve warm.